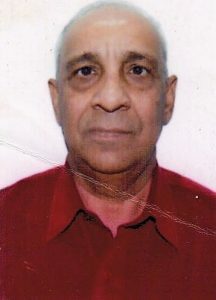 Dashrath Talveja who is 68-years-old, is a resident of Bhopal, Madhya Pradesh. He is visually impaired by birth and has since lived a life with blindness. Dashrath comes from a family who is economically well-off. Therefore, he discontinued his studies after class 11 to take care of the family furniture business, considering the need for education as less important. Dashrath who had recently visited Ahmedabad for his grandson’s admission heard about Blind People’s Association (BPA), a non-profit organisation that works for the blind. He visited the BPA- Eyeway Helpdesk so as to share some of his queries. When asked about his day-to-day activities, he shared his experiences regarding the challenges he faces during work. Dashrath, who helps with the business accounting, finds difficulty in reading the small letters of certain documents such as bills and visiting cards. He currently uses a magnifying glass and a torch to carry out this activity. The Eyeway counselor comprehended the situation and apprised him on the various computer software, devices and android applications that can be utilised for such purposes. The counselor patiently demonstrated the use of a NVDA screen reader on the computer and Talkback application on android mobile phones. He was also informed on the various OCR (Optical Character Recognition) applications such as Google Lens, Smart Lens, Eye-D Pro etc. that converts certain handwritten, typed or printed texts into machine-encoded texts, which in turn helps in easier reading. Dashrath, who was excited to hear about the various assistive technologies available for him, was keen to enrol for a computer training program at BPA. However, due to the limited time he had at Ahmedabad, he could not join the same, instead was advised to contact the Eyeway Helpdesk and enquire about the opportunities available to him in Madhya Pradesh. Eyeway hopes communication with Dashrath could be reinstated shortly to assist him with further needs.